A pro-Taliban and anti-Hazara attends in the 80th anniversary of the death of Hazara historian Fayz Muhammad Katib! You are at:Home»News»A pro-Taliban and anti-Hazara attends in the 80th anniversary of the death of Hazara historian Fayz Muhammad Katib! Hazara People International Network: As you can read in the following article, Asia Institute has invited a pro-Taliban and anti-Hazara Ashraf Ghani to attend in the 80th anniversary of the death of Hazara historian Fayz Muhammad Katib. Hazara People International Network believes people like Ashraf Ghani are not independent and are not right persons to talk about Katib Hazara and his great work. It is also important to know Hazaras are not Afghan. We do respect all ethnic groups in Afghanistan. But Afghan or Pashtun is a ethnic group different than Hazara, Uzbek or Tajik. 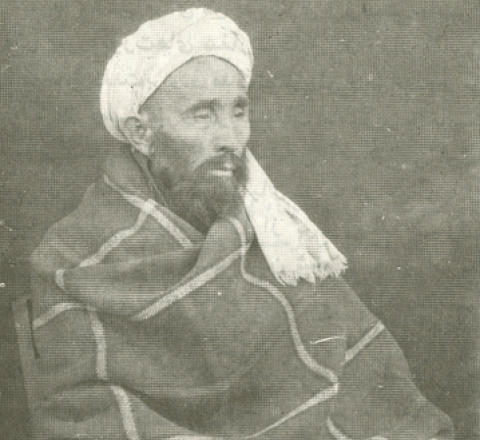 Upcoming conference recognizes the 80th anniversary of the death of Fayz Muhammad Katib, the first major Hazara writer and historian, and the 10th anniversary of the U.S.-led invasion of Afghanistan. Nile Green clearly remembers the moment he first became interested in world events. He was about seven years old, and he and his schoolmates had been called into an assembly. There, they were told of the Soviet invasion of Afghanistan. Today, the complex history of Afghanistan — including the Soviet invasion — is central to Green’s scholarly interest in the ways in which Afghans perceive their own national history. He has spent a great deal of time speaking with Afghans and learning about the range of viewpoints that exist. Nile Green, who leads the UCLA Program on Central Asia, is hosting an international conference on the many ways Afghans interpret their own history. There are two key approaches to thinking about Afghans’ collective history. One interprets history as being something that Afghans have had an active role in. The other views history as something that has been thrust upon the nation by a series of foreign imperial aggressors, namely the British, followed by the Soviets and now the Americans. Green’s exploration of foreign lands and countries far from his native England began early in his life. By the time he was a high school senior, he had been enjoying the freedom of traveling alone from his home in England to spend a summer backpacking through Turkey. His impulse to travel later led him to visit Yemen, Syria and Egypt and to linger in Iran, India, Pakistan and eventually Afghanistan. In many ways, his imagination has never left Afghanistan. Green joined UCLA’s Department of History as a professor in 2007. His particular research interests also include the early modern and modern history of India, Pakistan, Afghanistan and Iran; the Indian Ocean; Persian and Urdu travel writing; and Islam and globalization. These interests made him an ideal fit to lead the UCLA Program on Central Asia, which is part of the UCLA Asia Institute and one of the many multidisciplinary programs, centers and institutes focused on world regions and global issues that comprise the UCLA International Institute. 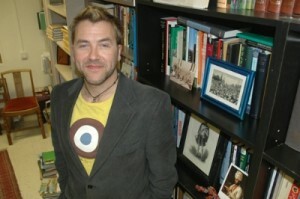 Much of Green’s current work is centered on Afghan studies. He is teaching a seminar on modern Afghan history this quarter. In addition, he recently participated in a UCLA conference on Afghan literature and co-edited “Afghanistan in Ink,” the first scholarly survey of modern Afghan literature, tracing patterns of thought and identity, and their destabilization in contemporary times. He is hosting an international conference next week at UCLA that brings together scholars from Afghanistan, UCLA, New York University, the University of Arizona and Humboldt University in Berlin, Germany, to discuss “Great Games? Afghan History through Afghan Eyes.” The conference, which is being held Nov. 17 and 18 at the Young Research Library, features a pre-recorded video presentation by independent Afghan scholar Ashraf Ghani, a prominent Afghani politician, former chancellor of the University of Kabul and former finance minister of Afghanistan. An Afghan exhibit curated by Green will be on display at the library until the end of the quarter. 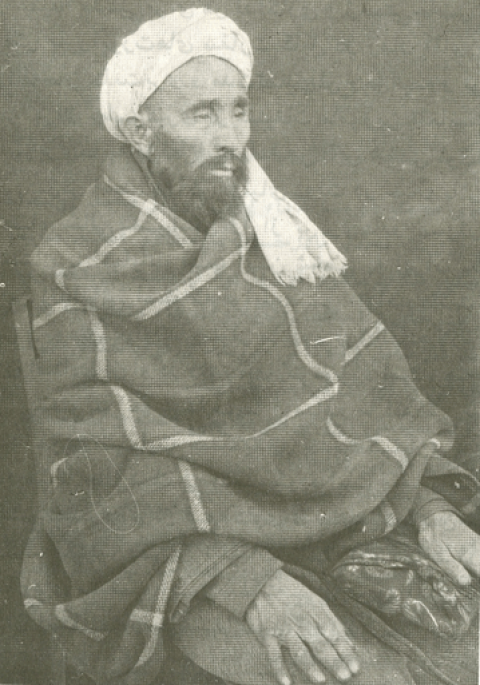 The conference, funded by the American Institute of Afghanistan Studies, honors the 80th anniversary of the death of Fayz Muhammad Katib, a first major Hazara writer and historian. Born in the early 1860s, Katib was a bureaucrat under the modernizing government of the 1920s who witnessed many of the social and political changes in the country, which shaped the region’s politics to the present day. The conference also marks the 10th anniversary of the U.S. led invasion of Afghanistan. The two events are closely tied, Green said, because Katib wrote a rare eyewitness account of the 1929 government coup that toppled Afghanistan’s first modernizing government. The current uncertainty facing Afghanistan as U.S. troops begin to pull out of the country has led to a renewed interest in Katib’s work and vision.